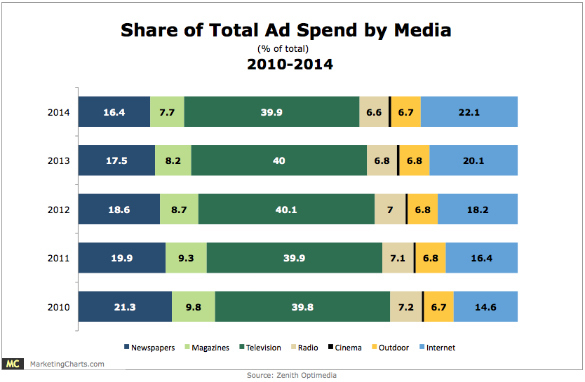 If your business relies on advertising, did you know digital is the only media channel showing growth in this decade? These trends suggest a digital agency may be your most valuable business partner. Here are 7 best practices digital agencies should be doing. 1. DEFINE WHY YOUR WEBSITE EXISTS: A brand’s website is either a business asset or an expense. If it’s an asset, it exists for a business reason like: Generate sales, secure leads, increase trial, switch competitive users or identify key prospects. If the website has been created because “every brand has to have a website,” it’s an expense. 2. IDENTIFY KEY PERFORMANCE INDICATORS (KPI’S): “If you can’t measure it, you can’t manage it,” said Peter Drucker. Key Performance Indicators (KPI’s) are the actionable scorecard to keep your business strategy on track. They are selected measurements that provide visibility into the performance of a business. They enable decision makers to take action that achieve desired results. It’s not hard to measure or manage KPI’s. This brief video explains KPI’s and how to set up a scorecard for your business. 4. KNOW WHERE YOUR AUDIENCE COMES FROM: To drive people to your brand’s website, you’re going to have to spend money or time (or both) on paid media, paid search, search engine optimization and social media. Which ones work best? 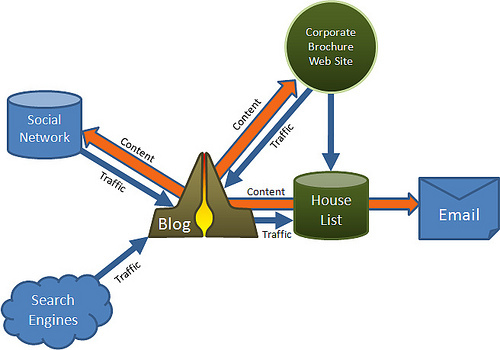 “Traffic Sources” and “Tags” tell you from an analytics tool like Google Analytics. They make it possible to determine Return on Ad Investment. Something you can improve upon and control. 5. LEARN FROM THE COMPETITION: Competitive analysis and intelligence presents opportunities in real time. For example, allergy products are a fiercely competitive category every Spring. Sales are heavy influenced by uncontrollable factors like the weather that varies geographically. Using competitive tracking tools like Compete and Alexa, a client of ours was able to measure website traffic of major allergy brands, understand their marketing and advertising strategy and use it to their brand’s advantage that Spring. A report from the television ad tracking service didn’t arrive until late Summer. 6. 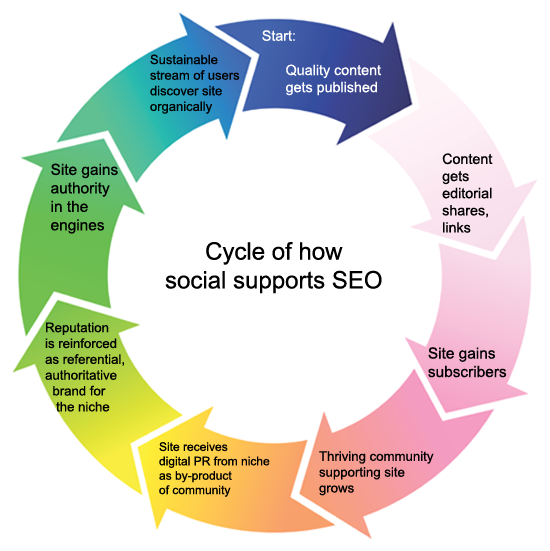 GAIN INSIGHTS THROUGH KEYWORDS: 80% of the traffic to a website begin with a search query. As a result, large lists of keywords are probably going to be generated for search volume and CPC (cost per click). They’re valuable for media buying but lists don’t usually reveal insights. 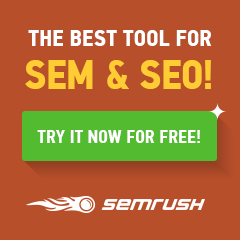 Here’s one way to get to insights – show keyword trends. Since we’re on the subject of advertising, here is a charts from Google Insights. 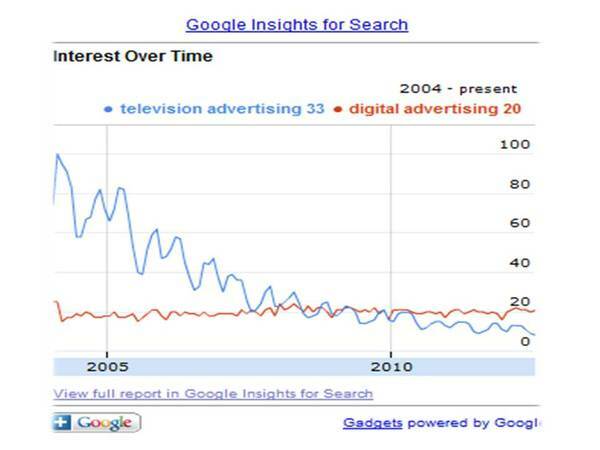 The blue line measures search volume for television marketing; the red is for digital advertising. If these keywords were relevant to your business, which one would you emphasize to better meet the needs of your audience. 7. LISTEN TO THE VOICE OF CONSUMERS: You or your digital agency can’t tell you what consumers want from your brand online. Only consumers can. So ask them regularly. Have simple survey on the site and, once a quarter, asks just a few questions like: Why did you come to this site? Did you find what you were looking for? What would make you visit again? It doesn’t have to be fancy, just actionable. These 7 best practices have 1 thing in common; they’re all based on generating business growth. Are they practices your digital agency is doing? 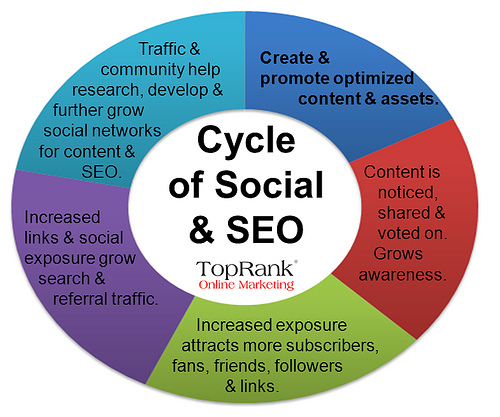 The cornerstone of Search (both SEO (Organic) and SEM (Paid)) is relevant keywords; the cornerstone for Social Media is relevant content. Together, they make for a relationship of interactivity and interdependence, a yin and yang if ever there was one. If you do business online, shouldn’t you use them together? 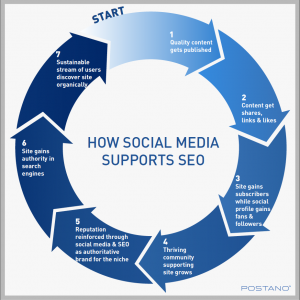 Here are 21 stats + 5 charts that say: Don’t do SEO/SEM without Social Media and visa versa. A valuable resource is the Group M and comScore study: The Virtuous Cycle: The role of search and social media in the purchase pathway (pdf). 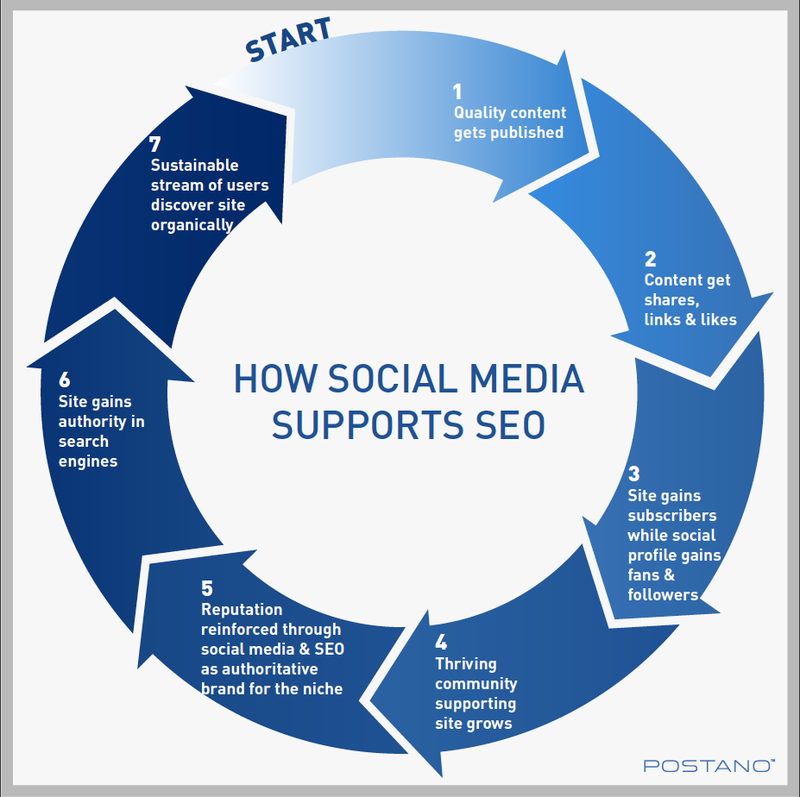 Since pictures tell a 1000 words, some great picture have been created to show how search and social media work together. Here are 5, beginning with one of the most prolific advocates on this topic, Lee Odden and Top Rank Blog. 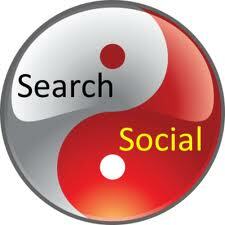 Would you ever do SEO/SEM without Social Media or visa versa? 80% of people begin their journey to a website through the query on a search engine. Once they type in specific keywords, 46% click on the #1 website listed in organic search. To show you, here is a brief :30 clip. In this controlled video test, called a “heat map,” people use keywords to search for an unmet need and then click on the website that best meets their need. The blue circles are the mouse movements of many individual searches and the hot colors represent where the most activity occurs. Conclusions are: 1) Know the most relevant keywords for your business or brand and 2) get to a top position. But does that mean you should focus your attention on what might cause search engines to give you a top rank at the expense of writing for your audience? Never. Here are 25 reasons to write for your audience before the search engines. 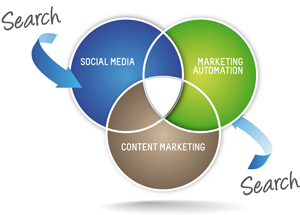 Of course, for digital marketing, the search engine play a critical role but they will never take the place of good research, high levels of involvement and strong, well-written content. I am fortunate to be teaching a “hands on” Mini-MBA in SEO, SEM and Web Analytics through Rutgers University and with two colleagues, Mike Moran and Tim Peter. Creating a content strategy and writing great content are an area of focus. If this is of interest, here are the details. Will you be writing for your audience before the search engines? 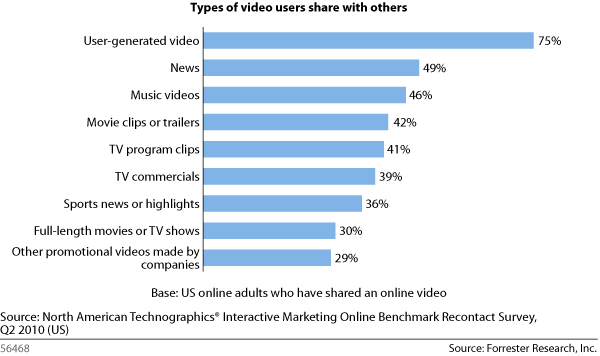 But is your content share-worthy? After all, what good is putting it out if it doesn’t create a community of advocates who help spread the word. Here are steps 18 content marketers take to make their content share-worthy. Will you be making the effort so your content is share-worthy? Do these steps point you in the right direction? There are great social media targeting tools worth knowing about. Why? 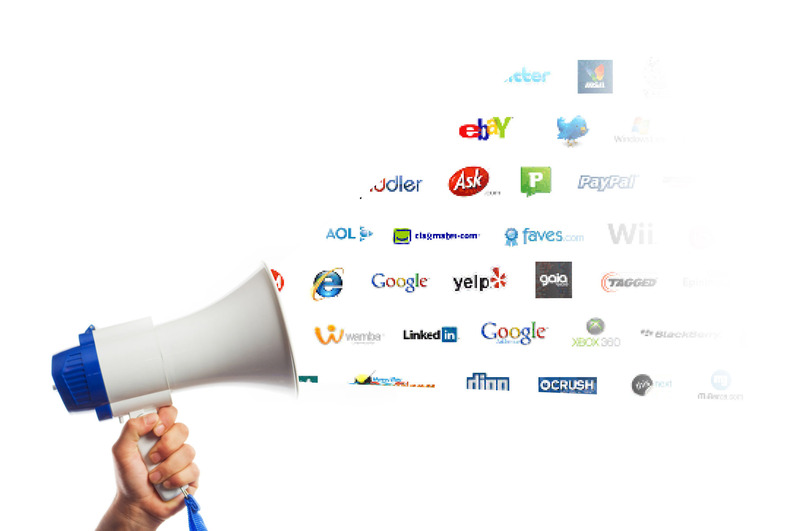 They identify people on social networks who need your product or service right now. Social targeting tools are growing at a rapid rate. All are widely available as “open source” platforms and work with a simple search query. Some have upgrade features if you find them valuable. To find the targeting tools right for you and your business, it’s best to do a little experimenting. You might even find the process fun, especially when you discover people who have a genuine need your product meets. Whichever you choose, it’s important you think like your customers using words in search queries they would use or you think they would use. Social media targeting tools have significant impact on business. How? Here are 8 social media targeting tools and how they’ve helped businesses we work on. BLOGS AND BLOGGER RELATIONS: If your business is developing a blog, you also want to identify the bloggers with whom to build relationship. How do you decide? 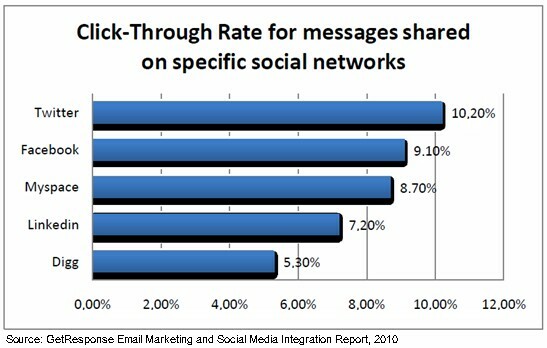 FACEBOOK: It used to be companies spent big money to acquire “mail lists.” But the reliability was always in question. Do the people still live at that address? How long since they were last contacted? Has their behavior changed? BOOSHAKA ranks your fans through an algorithm that determines their advocacy. It also can do the same for competitors. If you want to reward current customers for their loyalty so they spread the word and help you with the lifting, Booshaka is a great tool. Should you want to encourage switching from fans of your competitors, you could do that too. Booshaka is completing a major revamping around advocacy and not all Facebook pages have been analyzed. Booshaka is already and going to be one powerful marketing tool. What do you say when you connect? Be genuine in your conversation. Be helpful and guide with a suggestion. 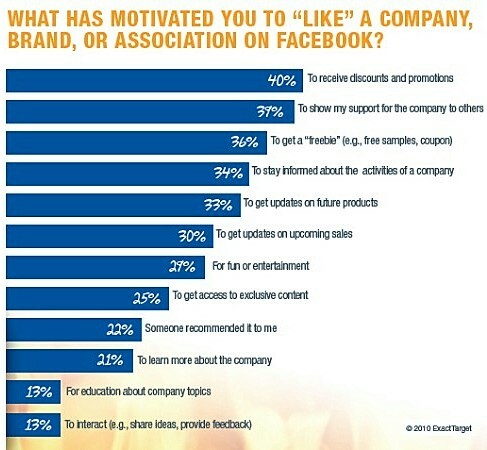 If you want to know what motivates people to “Like” your brand, here are some suggestions. Why should you listen for what people are saying on Twitter? Because 40% of the time they are learning or providing opinions about products and 20% of time they are buying products. 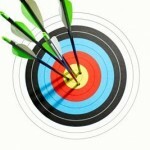 Do you think social media targeting tool are worth knowing about? If you would like to see how these tools could work for your business, click here to start a conversation of your own.